Cranfield Academy: Carmel is a private preschool located in Charlotte, North Carolina. Founded in 2000, Cranfield Academy offer programs for infants, toddlers, early preschool, preschool, and transitional kindergarten students in the Charlotte community. We also provide before and after school care as well as a fun summer camp. The goal of our program is to prepare children for kindergarten and foster a lifelong love for learning. We provide our students with a safe and warm environment, where their emotional, cognitive, and social skills will flourish. Our Carmel school is a leader in early childhood development in the Charlotte community. Charlotte is the largest city in the state of North Carolina and the 17th largest city in the United States, based on population. 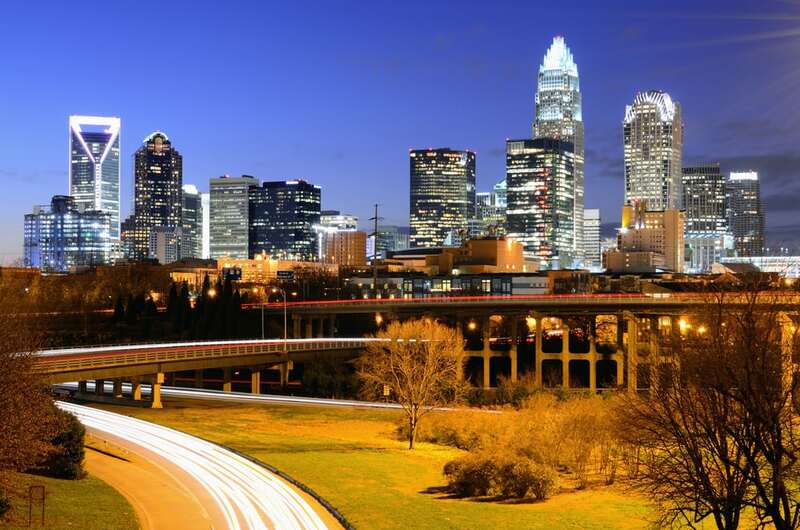 Charlotte is rapidly expanding and is consistently listed as one of the fastest-growing cities in the entire country. The city’s subtropical climate and strong economy make it a desirable area to live and work in. Bank of America’s corporate headquarters and Wells Fargo’s east coast operation headquarters are both located in Charlotte, making it the second-largest banking center in the United States. Located east of the Catawba River and southeast of Lake Norman, Charlotte is a culturally diverse area with several different major industries. The city is considered the center of the United States motorsports industry, with several NASCAR offices, the Hall of Fame, and the Charlotte Motor Speedway located in Charlotte. The energy industry has also grown significantly as more energy corporations have started opening offices and creating jobs in Charlotte. Considered a millennial hub, Charlotte has no shortage of attractions for millennials and their children to visit. Discovery Place Science is a science and technology museum perfect for all ages. The museum seeks to educate visitors on the importance of STEM education and offers hands-on interactive exhibits, cool experiments, and an IMAX Dome Theatre experience. Carolinas Aviation Museum, located next to Charlotte Douglas International Airport, contains over 50 different planes and smaller items related to North and South Carolina aviation history. Carowinds is a huge, 400-acre amusement park located in Charlotte with an adjacent water park called Carolina Harbor. Offering 64 rides including 13 roller coasters, Carowinds is a great place for the thrill-seekers of the family. The Harvey B. Gantt Center is a museum named after Charlotte’s first African-American major that is dedicated to African-American arts and culture. The museum also serves as a community center and offers music, dance, theater, art, and literature education programs to members of the Charlotte community. Cranfield Academy: Carmel provides a unique learning experience for our students. Rated 5 stars by the Division of Child Development & Early Education and the North Carolina Child Care Commission, our school exceeds state requirements and faculty education standards. Children spend their days learning through play while exploring the world around them. We have a spacious playground with shaded areas, tricycle paths, and water play activities, ensuring our students remain both physically active and entertained. Safety is a priority for us, which is why we partnered with a security agency founded by former US Secret Service agents to ensure we maintain the most secure school possible. We believe in developing well-rounded children, which is why we offer numerous enrichment programs, including soccer, gymnastics, music, computer, and Spanish classes. Nutrition is also very important in helping a child’s body grow and develop, which is why meals and snacks are included as part of our tuition. Our private chef prepares foods that are healthy and child-friendly, emphasizing fruits and vegetables, whole grains, and vitamins and minerals. Downtown Charlotte is about a 25-minute drive from Cranfield Academy: Carmel. To get to Downtown Charlotte, get on I-485 and head northwest. When you see Ramblewood Park on your right, take exit 67 to get onto I-77 and head north for about 10 minutes, passing Montclaire South and Revolution Park. Take exit 9 B-C to get onto I-277 and when you pass the Bank of America Stadium to your left, take exit 1 E to get onto S College Street. When you see the Charlotte Convention Center and The Green you have made it into Downtown Charlotte.